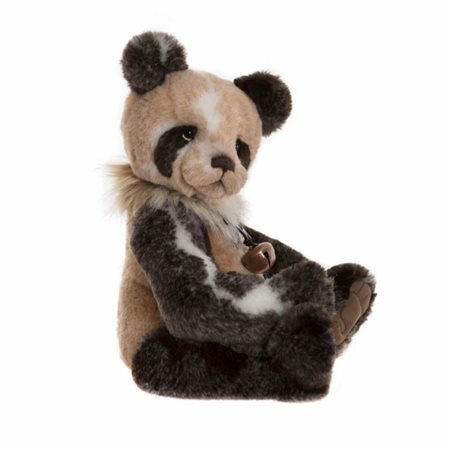 Adrian the beautiful panda bear by Charlie Bears has been created from soft plush fur in a beautiful biscuit brown colour. This adorable panda bear comes with his very own necklace with bell just so that he can be heard! Available now from the Jonzara extensive Charlie Bear collection.